Hi everyone, long time no see! Happy 2015! It's the year of the sheep, so we say "Nice to see ewe*!" This year, I spent New Year's Eve and New Year's Day at my friend's family's home. For the first time, I experienced a traditional Japanese oshogatsu! It was very fun, and I learned a lot about Japanese customs. 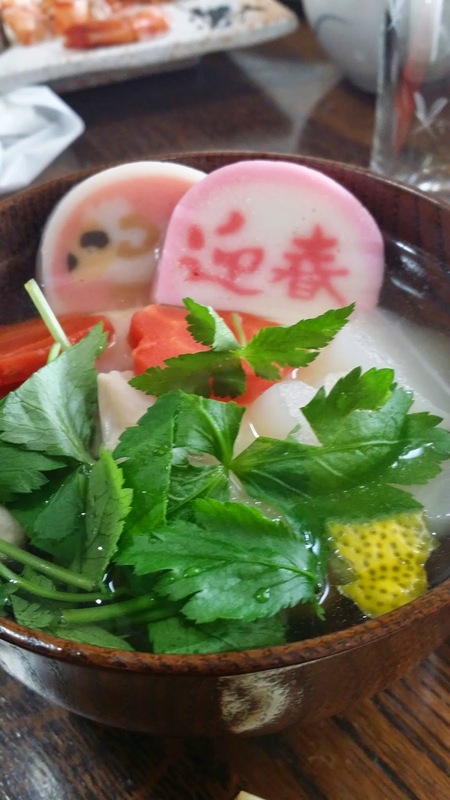 Soup with Rice cakes‐very good! First of all, we spent December 31st relaxing at their home and eating delicious food like rice cakes, soba noodles, and sushi. I helped my friend's mother cook for a few hours. While we ate, we chatted and laughed, and didn't worry about things like work or studying. In the evening, a television program with many different musicians came on, and we all watched TV together while eating again. Outside, the weather became colder and colder. We debating going to a shrine at midnight. Finally, we decided to go quickly before it started to snow. 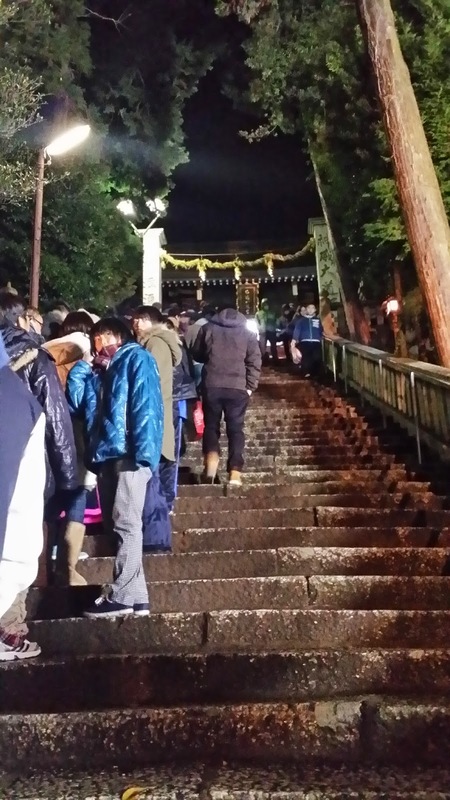 The shrine was more crowded that I expected, and a long line of people were waiting on the stairs. For about 20 minutes, we stood outside in the cold until we finally reached the top. 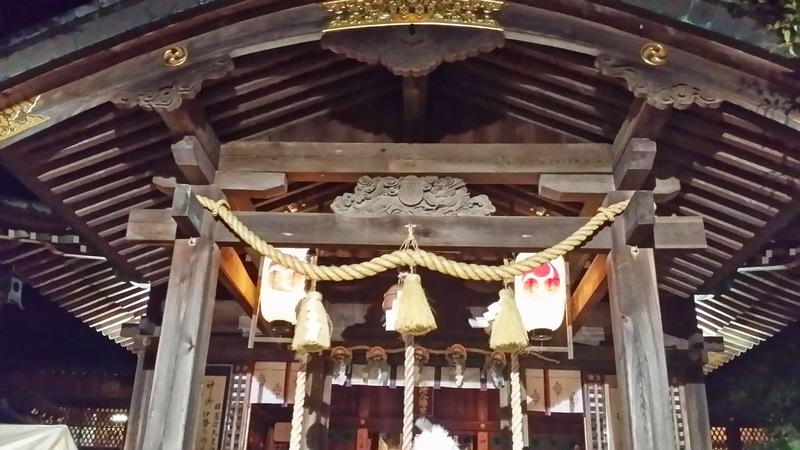 At the shrine, we tossed some coins into the collection box, then closed our eyes, put our hands together, and prayed for health and happiness in the new year. Even though I don't believe in any gods or spirits, the atmosphere was very nice! Just as we arrived back at my friend's house, it began to snow lightly. By the morning, all of the ground and houses were covered in white powder! It was a beautiful morning, and a great start to 2015! 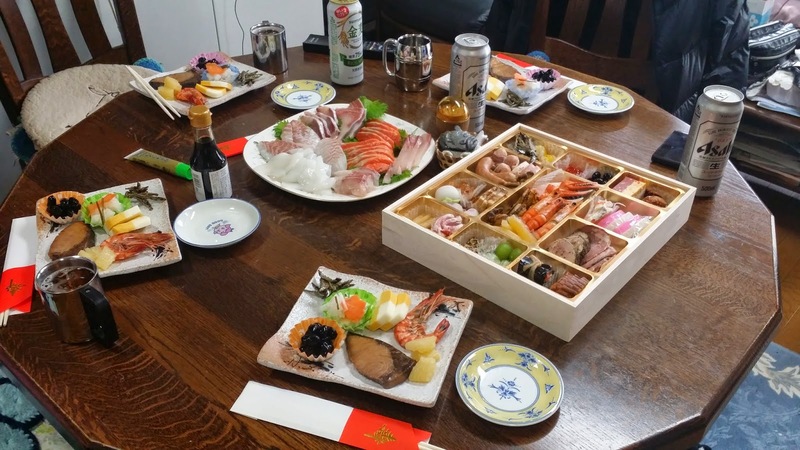 That day, we gathered at the table again and I enjoyed my first osechi. We don't have this dish in the US, so I was very eager to try it. Everything was delicious! Especially the black beans, which were very sweet. There was nothing that I disliked. Did you enjoy your New Year's holiday, too? I hope you enjoyed some good food in good company. Anyway, let's do our best this year and stick to our resolutions! * An "ewe" is a female sheep! It's pronounced almost like "you."